Elon Musk is never far from the headlines, this past week the multiple announcements of the arrival of the $35,000 Model 3 and shift to online-only sales was nothing out of the ordinary for the eccentric billionaire. In addition, the drastic cuts in new car prices have both excited and enraged Tesla fans depending on which part of the purchasing process they were in but Musk was clearly not done yet as he has just announced the released date of the Model Y unveiling on his Twitter account. He said that the unveiling will take place at the LA Design Studio on March 14 where we will get detailed specifications, pricing as well as test rides for the lucky attendees. According to Musk, the Model Y will be around ten percent bigger than the Model 3, which means prices will be around ten percent higher. 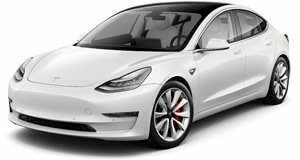 The additional size and weight will also have a slight negative impact on performance and range compared to the Model 3. With the current Model 3 range-topper being capable of a 3.2-second 0-60 mph time and a 162 mph top speed, we could potentially see a Model Y with the same motor and battery pack being quick enough to take on some of the most powerful traditionally-powered SUVs. 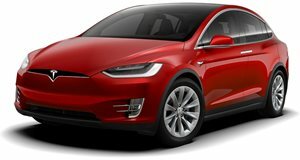 The revitalized Tesla range has been simplified down to Performance, Long, and Short Range (Model S only) variants for the Model S and Model X, although the Model 3 offerings are still a bit more complex with Standard, Standard Plus, Mid Range, Long Range, and Performance variants available. Some are RWD only while others come with AWD, with ranges of 220 to 310 miles on a charge. We presume the Model Y range will more-or-less mirror these offerings, although whether we will get to see a cut-price $38,500 Model Y in the vein of the $35,000 Model 3 remains to be seen. If recent releases are anything to go on, the more highly-specced variants will be made available first. With the stellar sales of the Model 3 over the past year, we expect the Model Y to follow in its tire tracks - let’s hope the production and delivery infrastructure will be up to the task this time. Based on the unveiling date, deliveries to customers should begin at some point in 2020.